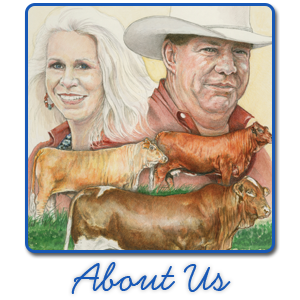 With 40 years experience in breeding Beefmasters, the Emmons family has practical vision. Cattle are selected for visual quality – a strong top and good structural soundness. They offer both high quality red and black Beefmasters – all with quality. Their bulls are big-topped, heavy muscled, and designed to make their customers money. They concentrate on producing females that produce good bulls that will perform. Steve and Cindy purchased their first Beefmasters in 1975. Since that time, they have had tremendous success in the Beefmaster breed and Beefmaster association. Steve is a past president of the Beefmaster Breeders United and the family was named Beefmaster Breeder of the year in 2008. They strive to breed cattle with consistent muscle that perform in the pasture, and look good. Major emphasis is on collecting performance data including birthweight, weaning weight, yearling weight and scan data. The herd sire battery and cow herd at Emmons Ranch is one of the most storied in the breed. 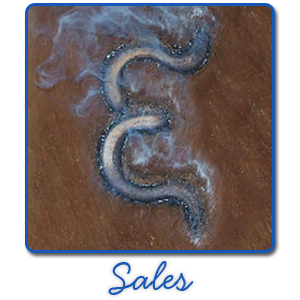 Sires like EMS Smooth Cavalier, EMS Bonfire, EMS Headliner, EMS Captain Britches and EMS Johnny Cash headine their operation. Emmons Ranch has produced 7 National Champion Bulls and 2 Reserve National Champion Bulls. Along with these bulls, they have produced 6 Miss Beefmaster America winners and 4 Reserve Miss Beefmaster America winners. AI and Embryo Transfer have been used extensively since 1980, and carcass ultrasound was added in 2005. 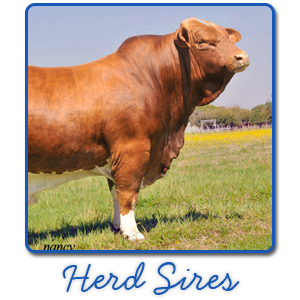 They currently have several herd sires in the trait leaders of the BBU Sire Summary as well as the 2012 National Performance Champion Bull. The Emmons stress quality and performance to create a strong consistent product. Emmons Ranch also sells Beefmaster show heifers to junior exhibitors.